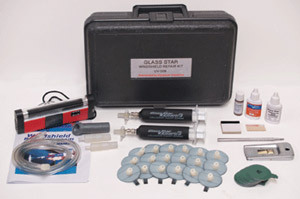 Windshield repair starter kit. Contains 1 injecter ,1 hose, curing lamp w/batteries, and everything needed for 24 repairs. All supplies are available to purchase later as needed.